AUGUSTA -- When Jordan Spieth made a bogey on the 17th hole on Friday, he pushed the cutline at the 2016 Masters to six over par. 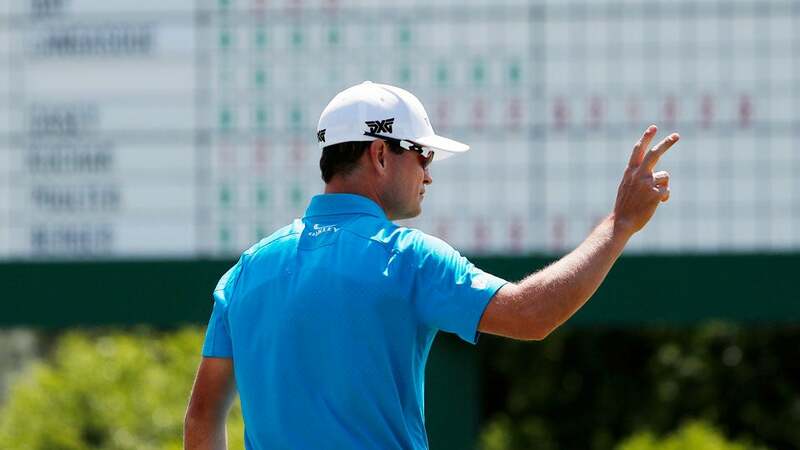 It appeared that would be enough to get 2007 Masters champion Zach Johnson, who had finished his second round at six over, into the weekend. But after Johnson had finished his round, the ESPN broadcast showed a replay of Johnson grounding his club in the hazard fronting the green at the par-5 13th. The footage showed Johnson's clubhead nicking the water in Rae's Creek as he began his backswing, for which he should have been assessed a two-stroke penalty. Johnson was unaware that his club had made contact with the water, however, so he carried on with his round believing he had made a bogey 6 at the 13th. When Johnson completed his round and entered the scorer's hut to sign for what he thought was a six-over 78, an official alerted Johnson of his violation at 13. After watching a replay, Johnson agreed that his clubhead had skimmed the water. The resulting penalty bumped up his second-round score to an eight-over 80 and his 36-hole total to 152, two above the cutline. Johnson did not immediately respond to request for comment from GOLF.com.